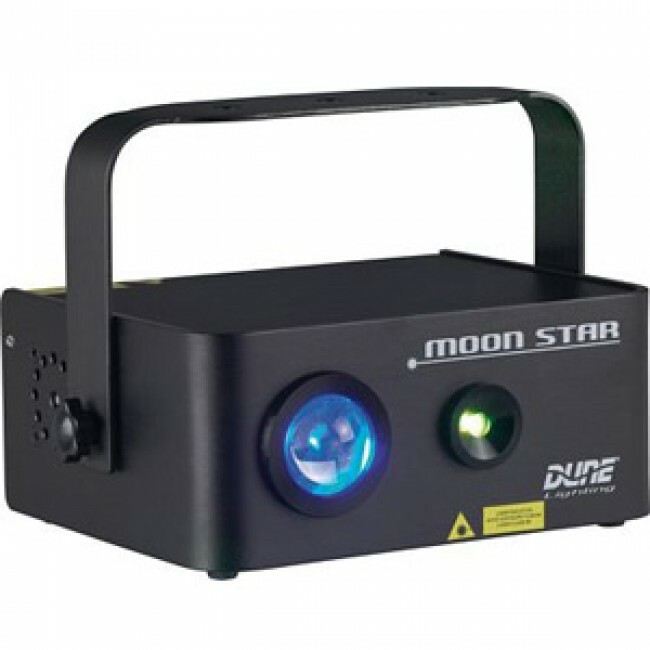 Moonstar is the first laser projector integrated with high power LED effect. 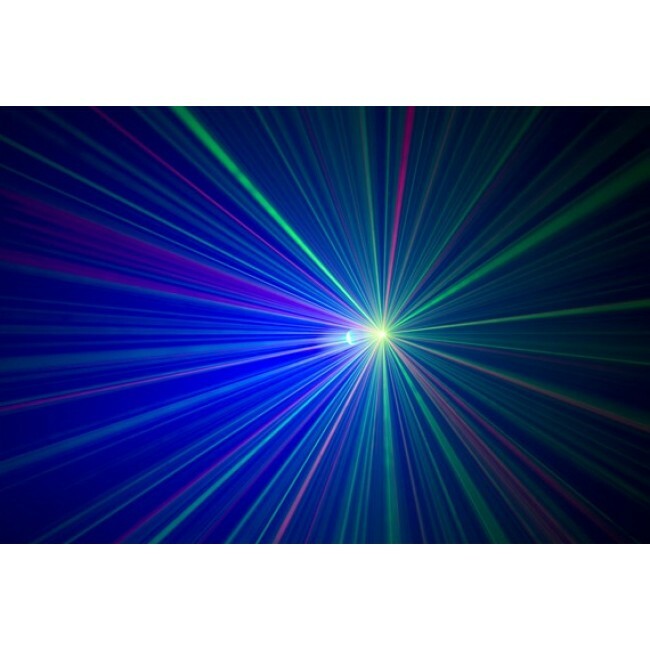 With SCM stepper control system, high power LED LEN group performs the big diffracted angle and averages power burst grating of laser. 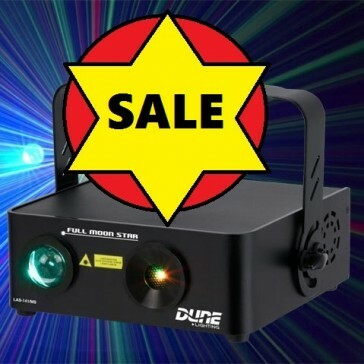 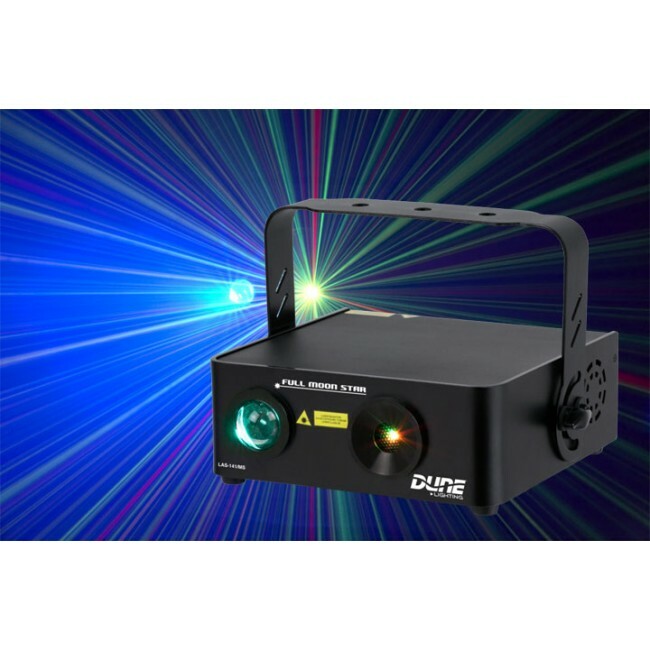 This unique laser effect is the perfect tool for creating a background atmosphere in a bar, lounge or entrance to a club. 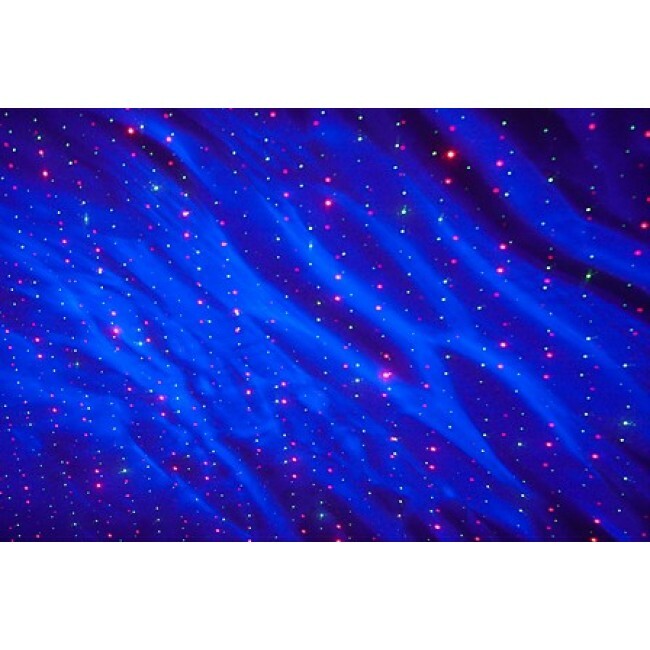 Its blue LED and widespread cluster effect can be tailored to suit a specific environment or create a certain mood via the easy-to-use rear control panel.